What is a Motor Vehicle Dealer (Wholesale Auto Auction Dealer) Bond in Arizona? A Motor Vehicle Dealer (Wholesale Auto Auction Dealer) Bond is a type of license bond. The purpose of the bond is to protect the state or governmental entity for certain things, such as the payment of taxes. How Much does a Motor Vehicle Dealer (Wholesale Auto Auction Dealer) Bond Cost in Arizona? How do I get a Motor Vehicle Dealer (Wholesale Auto Auction Dealer) Bond? We make it easy to get a Motor Vehicle Dealer (Wholesale Auto Auction Dealer) Bond in Arizona. Fill out the form above and we’ll get right on this for you. Then we’ll get the Motor Vehicle Dealer (Wholesale Auto Auction Dealer) Bond right out to you. Easy. License and permit bonds are very necessary to every business or operation that involves making any amount of profit. It is since the government frequently requires permit bonds to all business functions involving a consumer. Having a surety bond is necessary to be able to obtain a license or permit for your professional or business methods. The government will use this bond as assurance that the holder obeys all laws and delivers as expected. In case the contractor is unable to deliver the required project result, he or she shall face legal action. If you want to find out more on how to get a permit bond, here are a few of the essential facts that you must consider. A license and permit surety bond may differ with respect to the kind of business that you run. The kind of bonds differ according to purpose and how it may protect the clients. License and permit bond is a means for the government to ensure that you run your company as expected. If a contractor was found non-compliant in the governing rules that cover their operations and failed to deliver the required service or project result for its customer, he or she will eventually face legal action. As a company owner or manager, you will be responsible for the processes that your business follows and the legal conditions governing these processes. Realize that governmental laws are always of high importance. 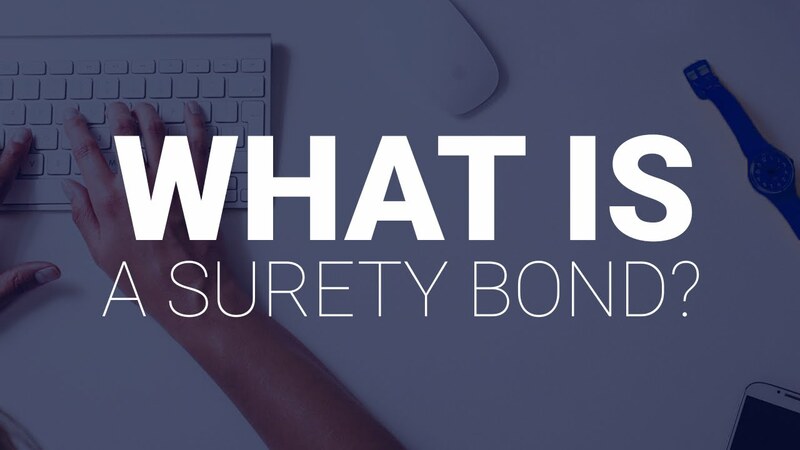 Performance bonds are another common kind of surety bonds. Its principal purpose is to help the consumers have an insured project. It is essential for contractors to supply result on the agreed date in cases of infrastructure projects. Keep in mind that part of providing quality services is being able to provide the required specifications of the project. In case of failure to comply, the consumer has the right to recover specific amount of the whole project cost through the help of the performance bond. This right and privilege is based on the argument that professional contractors have the skills, tools, and machineries to get the job done as prescribed, therefore there is no reason for the contractor to violate rules. But, in some cases, contractors fail to deliver. But due to the performance bond, there won’t be a substantial loss on the client’s part. This section details the essential advantages that you will enjoy when you hire a specialist who holds a license and permit bonds. According to the requirements of the government, there are particular rules and processes to be followed in doing a systematic work. Let us take for example a construction project, the systematic flow of processes are outlined in the license bonds. This systematic flow of processes must then be adhered to by the contractor you hired for the project. Permit bonds are a surety that guarantees clients to get the results they need. In case the project breaks down, the client will get considerable amount of compensation because of the quandary caused by the professional’s failure to supply. It is done by submitting a case against the professional who failed to supply, thereby giving the customer a chance to recover particular amount of money as stated in the bond. Looking for a license and permit bond isn’t that hard. It only entails simple procedure, but you need to make certain that you get it from an authorized issuing company. We detail the entire procedure of obtaining a license and permit bond in this section. If you choose to apply for license and permit bonds online, you have to first need to get an access because most approved issuing corporations have a secured login website. You’ll need a device that has an internet connection and a web browser to gain access to the form. In browsing through these online forms, alternatively, it’s frequently advisable to make use of a computer instead of a mobile device. After you have accessed the platform, you could now go on to the filling out of forms. On this form, you will get suggestions on the important info and the optional fields that you could ignore. You’ll get a quote within seconds. This quote will define the payment that you must pay money for the bond. It also tells you that you have successfully applied for the bond. You will need to make the payments after you get the quote, using the available mode of payment indicated in the issuing company’s website. In return, all your business or professional operation shall be insured. You must know the facts about the license and permit bonds. The tips on this section can help you learn everything about the license and permit bonds. When the government demands that you buy a bond worth a specific amount, it does not show that you will pay the whole amount through the application of the bond. In fact, it may only charge a fee with about 1% of the whole rate if you purchase a bond worth a million dollars for example. Another fact that you have to know is that a bond is distinctive from a company license. It’s only an assurance to the clients you serve that the projects they are venturing into with your service or products are insured. Therefore, you’re the one accountable for paying the insurance for the projects you are dealing with your valued clientele. The information above should help you understand the way to acquire a license and permit bond. Nonetheless, you should make sure that you get the surety bond from an approved issuing company for proper processing of your business functions. See our Arizona Motor Vehicle Dealer (Wholesale Motor Vehicle Dealer) Bond page here.